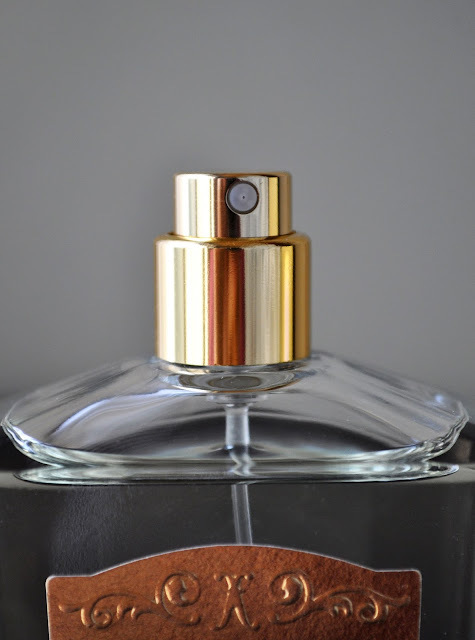 Writing about perfume can be very intimidating; an individual's fragrance preference is not only subjective, but also an intimate one. 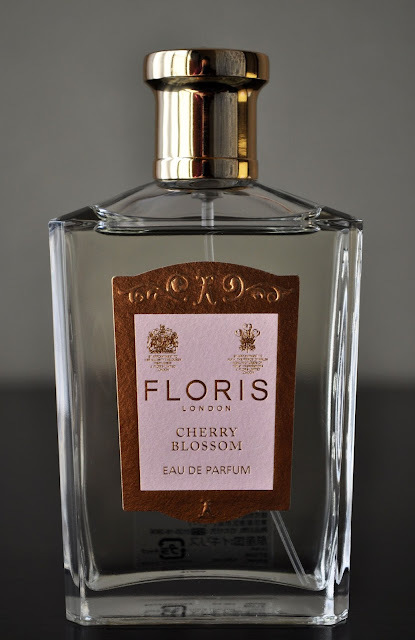 I change my perfume seasonally, and Floris London's Cherry Blossom Eau De Parfum enables me to continue celebrating the fragrance of the cherry blossoms after they're long gone. 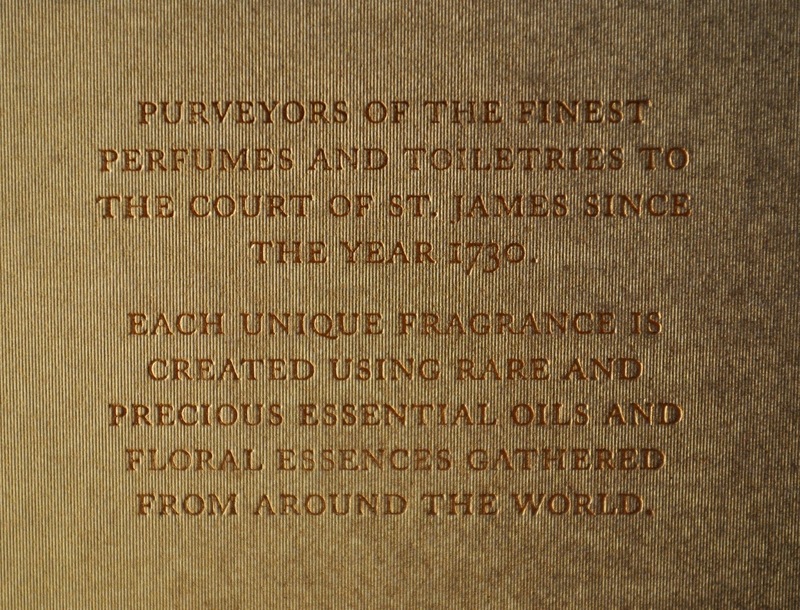 "Established by Juan Floris and his wife Elizabeth in 1730, they began selling perfume in the elegant quarter of London's St. James. In 1820 the first of 16 royal warrants were granted. Today Floris holds royal warrants to HM Queen Elizabeth II and to HRH The Prince of Wales. 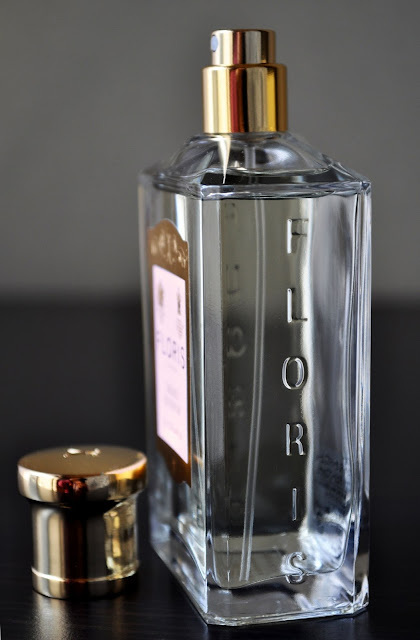 To date, Floris is still run from the original Jermyn Street shop by the eighth and ninth generation descendants of Juan Floris. The family proudly continues their work in the arts of fragrance, creating exquisite perfumes to stand the test of time. All products continue to be made in England." and packed snugly with care. 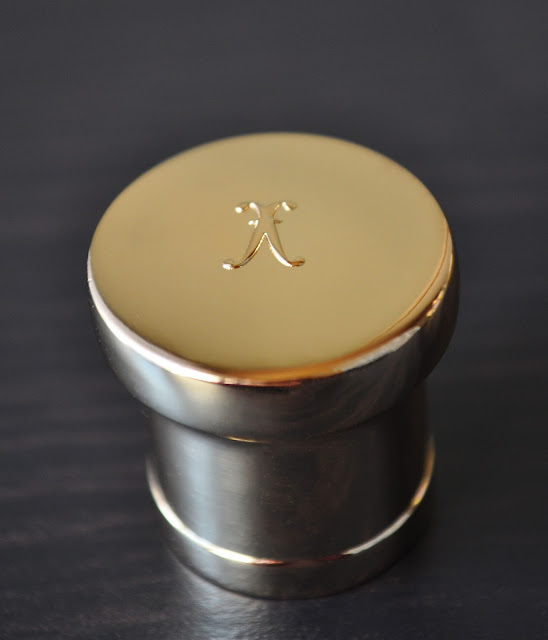 The weighty gold cap has Floris' emblem on top. To coordinate with the theme of the scent, the label is a pale, sakura pink, with the royal warrants Of HM Queen Elizabeth II on the left and the HRH The Prince of Wales on the right. Floris embossed along both sides on the glass bottle. Top Notes: Bergamot, Orange, Pink Peppercorn. 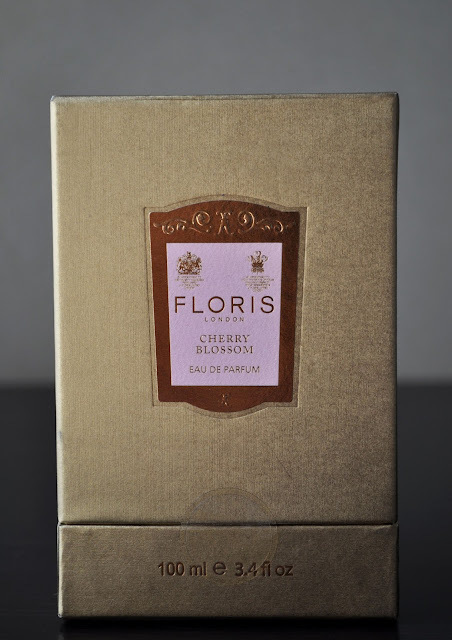 Heart Notes: Cherry Blossom, Osmanthus, Peony, Rose. 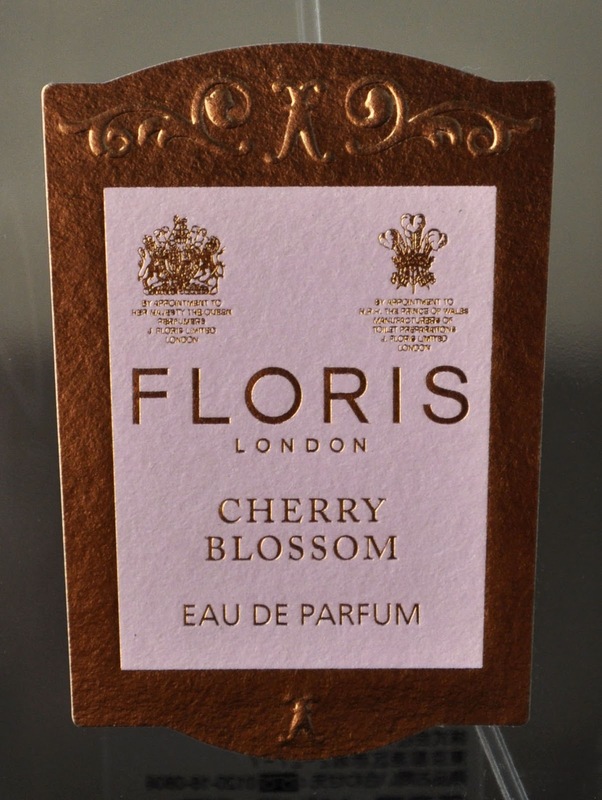 This is one of the best Cherry Blossom perfumes I've tried. The prominent scent of Sakura intermixed with the Bergamot, Orange, Pink Peppercorn, Osmanthus, Peony, Rose, Musk, Sandalwood captures the crisp, delicate romanticism of Spring in Japan. 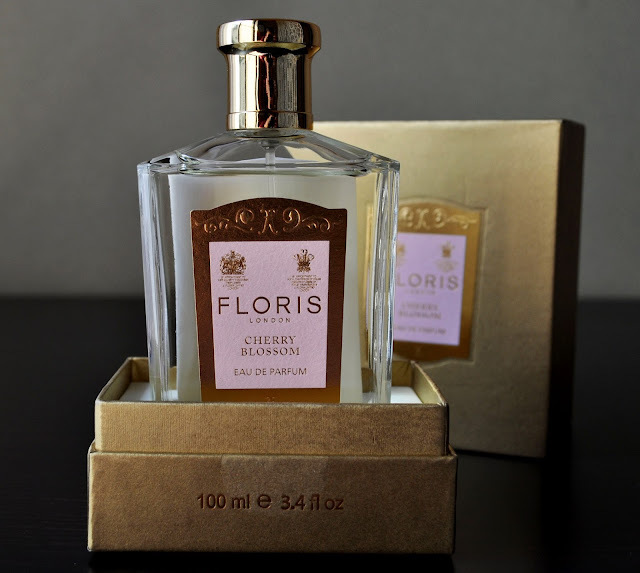 Floris London Cherry Blossom Eau De Parfum contains 100ml/ 3.4 fl oz and retails for 21,600. A mini video of my Cherry Blossom viewing at Nakameguro. Oh my! Upon description, it seems to smell heavenly. I got to try this out!